I have put off the MAC lipstick obsession for way too long. I couldn't count the number of beauty bloggers with MAC lipstick obsessions and I was desperate to avoid going over board and getting sucked in and buying lots, but let me tell you, its hard! I have a few now, no where near enough to make a collection, but its growing. Today I wanted to share my newest edition to my collection, a perfect autumnal berry shade and one I have lusted after for a while and never quite bought, so I decided this autumn I would treat myself to it! For the packaging it is the classic MAC lipstick packaging. The sleek black bullet is really sophisticated and looks lovely in my make up collection. When you take the lid off the twist up section is a nice silver shade with the black logo on which is the direct contrast to the pull off lid, and just compliments it really well. The product itself is a simple lipstick product, the tip is shaped with the flat section and the point and is really nice to use. 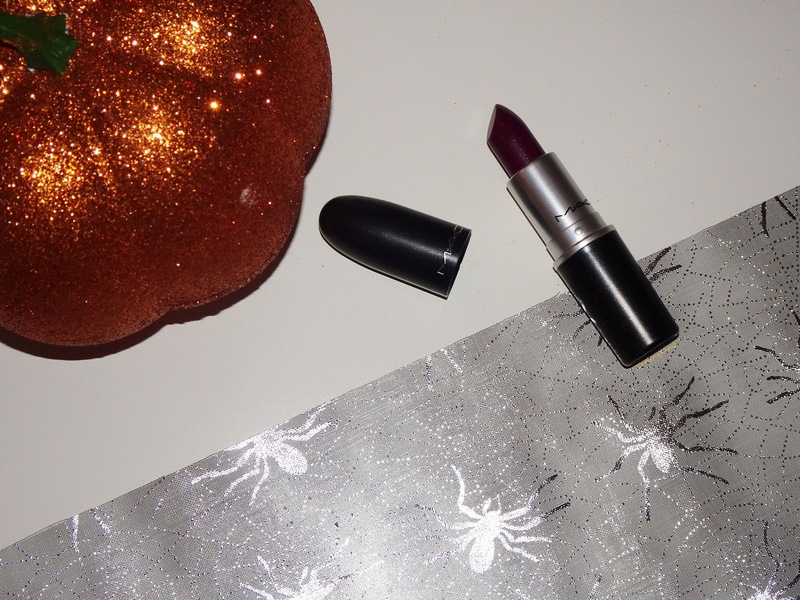 The shade is a beautiful deep plum-red which is described as a 'midtonal cream plum' on the MAC website which I definitely agree with. The shade looks a little more burgundy in some lights and looks a little more purple in others which I think is nice as it means it isn't a flat boring shade. 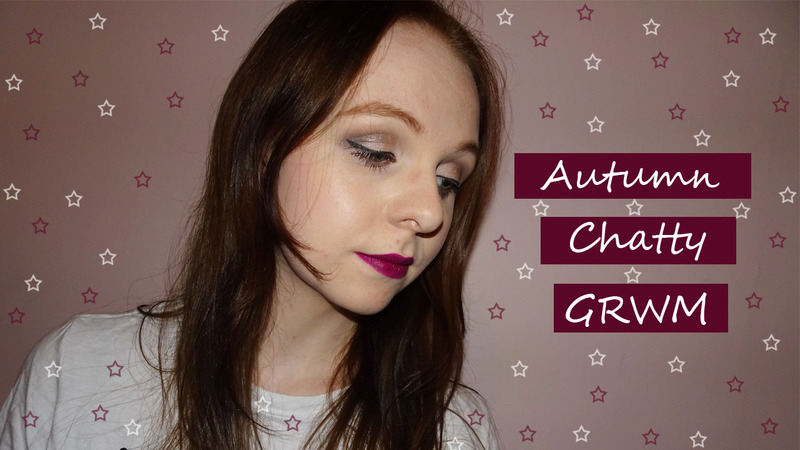 I think it really fits the autumnal berry tones well and is a colour I will reach for a lot over the coming season. The product applies easily to the lips being opaque from the first swipe which is fantastic. I love the way this looked and the way it went on the lips as it has a lot of impact in the way it looks. I love how intense and pigmented this is, and the satin finish gives it a nice soft finish that isn't harsh like a matte and looks really nice with a bit of shine. Because the product is a satin finish it doesn't dry down to a transfer proof finish life a matte lip does, but it is a lovely finish that I find had minimal transfer, especially for the satin finish. I really do feel like this is a good long lasting lip colour, I was able to drink a cup of tea and eat and still have the product on my lips, not immaculate, but definitely a lot better than some of the other products I have. Again, I would normally top this up after eating anyway, but it did last well enough that I wouldn't feel an immediate need to top it up. Overall I think this is such a nice lip colour, I was amazed with it the first time I used this and have been reaching for it a lot recently. I did a look with this lip colour over on my YouTube, this is where the picture of me wearing it is from as it is the thumbnail picture, you can find that here. I really do enjoy this lip colour and while I have been on a huge matte lip kick at the minute I think I have finally found the one to break the spell. These are £16.50 and while it is a little pricey I think the formula is so nice and definitely is worth spending the little extra on if you have been eyeing up the colour as I have fallen in love with it. 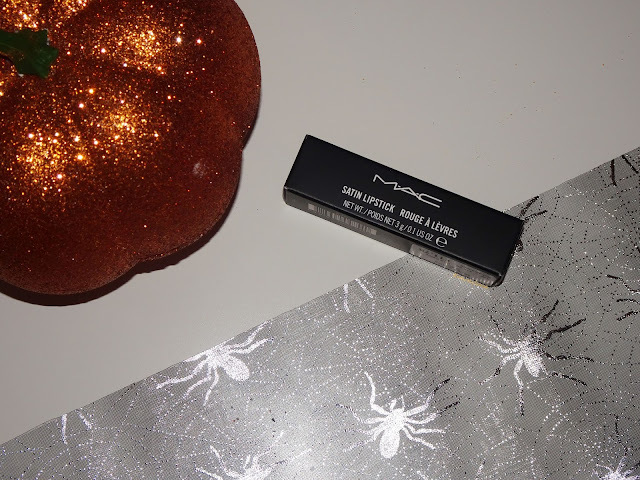 I am definitely slowly converting to a MAC lipstick girl and I can see a collection blooming over the coming months as I just want to go and buy all of them the more I try out! If you are converted to this shade and want to shop it online you can find it on the MAC website here, as well as being able to shop all the shades of their lip product on there too! If you love MAC lipsticks I would love to know what shade you recommend I pick up next as I can't wait to stop by a counter and shop more of the colours!